Description: An alien invasion comes to one man’s doorstep in the form of a story-creature, followed by death and rebirth in a transformed Earth. This short story was a bit too much for me. 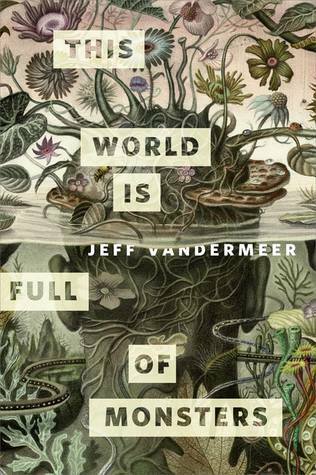 Written by the author of the Southern Reach Trilogy (which is coming to theaters near you soon), ‘This World Is Full of Monsters’ is a trippy story about an author who reads a letter one day and is permanently transformed by it. Lacking anything in the way of characterization or plot, this is a Lovecraftian plot of change and growth and death. I didn’t like it. Reading this was like trying to juggle wet bars of soap, all slippery curves which my fingers just slid right off. Told in a stream-of-consciousness style, the narrator describes the transformation his body succumbs to after aliens invade. And as his brain is transformed, so does the sense and rhythm of the text. I have a hard time describing this short story because by its very nature it defies explanation- and I suspect that’s the point. It is Lovecraftian, after all. It was well written to be sure, but wasn’t my jazz. “Reading this was like trying to juggle wet bars of soap, all slippery curves which my fingers just slid right off.” Hahaha! ~ I like that description…I am going to have to start using that.